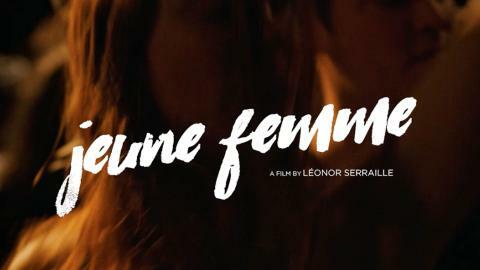 "Jeune Femme is one of those meteoric discoveries that you pray for to happen once in a while; it seems genuinely to have come out of nowhere" - Jonathan Romney, Film Critic. Back in Paris after a long absence and finding the key to her photographer boyfriend’s apartment no longer works, Paula (Laetitia Dosch in an explosive performance) goes on an erratic journey around the city; broken-hearted, self-destructive and with only her ex’s cat (an almost obscenely cute and fluffy creature, with a nice line in deadpan stares) to rely on. Her own worst enemy, there’s only one thing she knows for sure - she’s determined to make a new start and she’ll do it with style and panache. By her nature unable to do anything but live in the moment, we bear witness as Paula tries her best to reclaim a measure of stability, making new allies and assessing the reappearance of figures from her past. Funny, moving and hugely invigorating, with a healthy dose of humour and urgency, Serraille’s debut shows both a vitality of cinematic expression and an acute understanding of modern life’s everyday misfortunes.